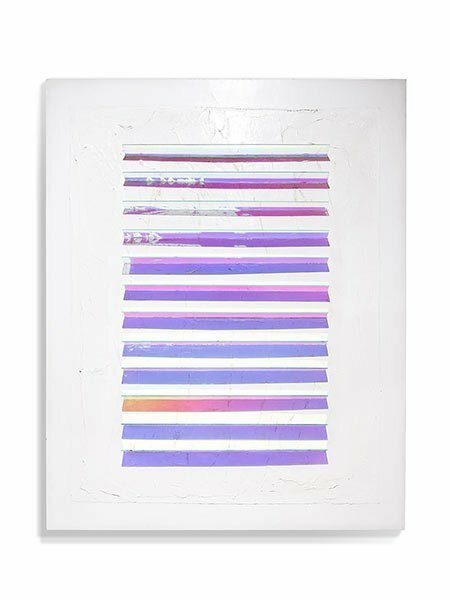 Once again exploiting the light-refracting properties of dichroic glass, Huether combines strips of the material with oil paint to create illusionistic canvases where the “painting” is done with light. 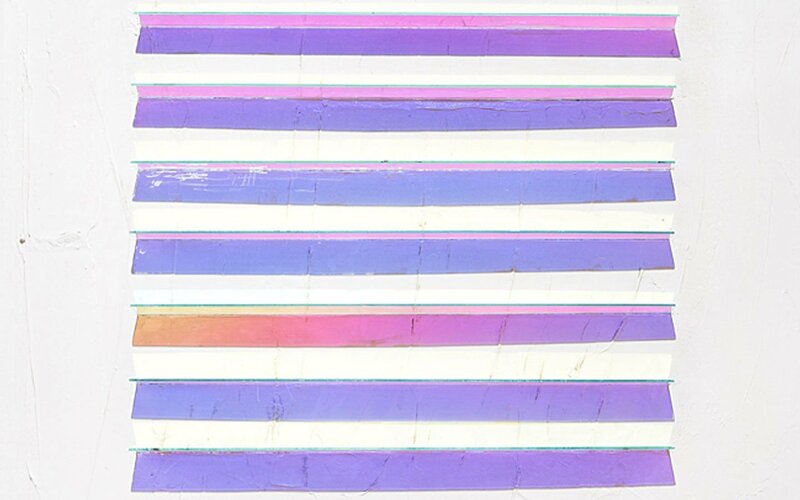 Colored bands are actually ambient light, filtered through the glass panes. Surprisingly, the glass itself recedes into the periphery of one’s awareness, as the colors themselves dominate. These works are all slight-of-hand, and remarkably successful in their elegant, cool, aesthetic beauty. While there is little direct reference of subject matter or style, aside from some broad swaths of white paint applied thickly, like frosting, the works manage to evoke Wayne Thiebaud’s Pop confections – cakes and pies, which shimmer and glow with rainbow-hued shadows in a similar range of colors. Thiebaud has become fascinated with cityscapes painted at a vertiginous perspective – and one might even find suggestions of those layered, highly geometric compositions in the narrow, steep, and angular patterns of Huether’s glass strips. Huether’s public art commissions often are designed to elevate the spirit through their harmonious composition and masterful use of light, space, and transparency. 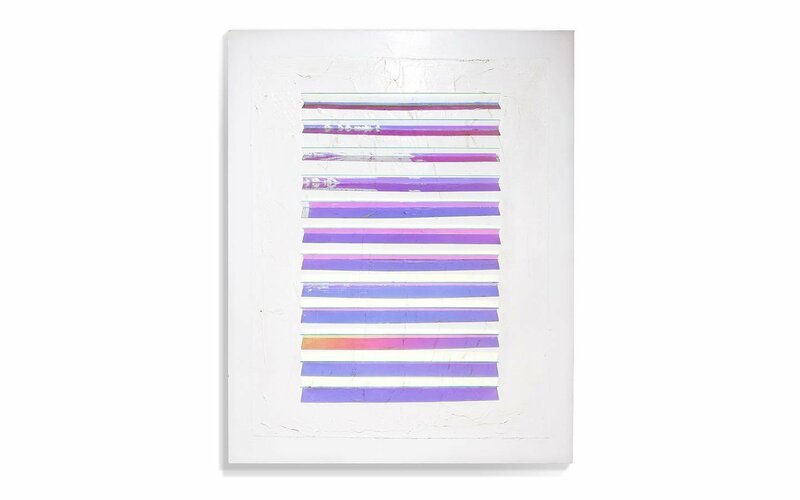 His Dichroic Fin Paintings combine all those qualities in a smaller format, which he has tightly focused around his personal interest in the refractive qualities of white light.